780 square feet with 2 bedrooms and 1 full bath. Kitchen is remodeled with sharp maple cabinets, a tile backsplash and trendy lighting. A breakfast bar separates the kitchen from the living room with newer Pergo flooring. 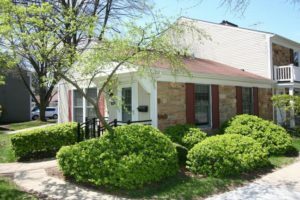 Want to know more about 2990 Whittier Court, contact the Ann Arbor condo specialists with The Bouma Group at 734-761-3060 or email info@bouma.com. Schedule a private showing here!